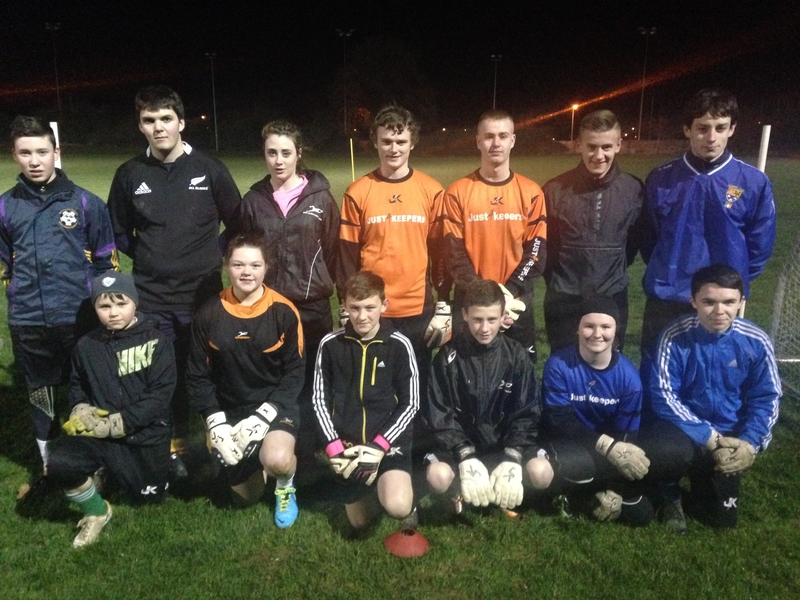 Just4keepers Goalkeeping schools in County Wicklow have landed on their feet with a new permanent venue. Eire óg GAA club in Greystones is a fantastic facility with the grass surface being brilliant & the lighting is even better. J4K are not affiliated with any club whatsoever. Some clubs fear sending their goalkeepers to academies held at other clubs. Totally understandable in todays schoolage football with some ‘poaching’ occuring. I have never, nor will I ever, recommend any of my goalkeepers to other clubs in schoolage football. I simply do the coaching/training. The grass surface is endless. Well 145 metres x 90 metres actually! Many people assume that we are a soccer academy. This is definitely not true. Infact, we have some brilliant gaelic footballers, both in goal & outfield players. At a guess, over my 6 years coaching goalkeepers in Wicklow I would say that 50% of people attending the academy played GAA and/or soccer. In other news, Tom from our Thursday’s session had a succesfull 2nd trip to Leicester City over the Christmas holidays & will be attending the Blackburn Rovers academy at the end of January. Another English club will be taking another one of our lads over this month too but this is unconfirmed yet. We have many girls & boys competing for places on their league representitive teams so we wish them the very best of luck for when the selections are announced.